The first in a spectacular steampunk series entitled Elie's Magnificent Adventures! In a world where alchemy is a viable science and gears and steam are the masters of technology, an ancient artifact threatens to change the status quo. When it is discovered that the ancient Alkimiyan texts and the mystical Crimson Stone are hidden in a secret location up in Beringia, the Artifact Recovery Corporation employs young adventuress Elie Meade to find them. Will she bring the priceless artifacts safely to A.R.C. headquarters, or will the power of the Crimson Stone fall into the wrong hands? This is a very rough, unedited draft of my steampunk novel. “Miss Elias Meade?” Headmistress LaCoste’s voice echoed through the thin walls of the Boston Female Asylum for Orphans, pulling ten year old Ellie Meade from her trance-like focus on her favorite book about lore and the history of world. She gripped the book harder, hoping the Headmistress wasn’t really calling her name; hoping that maybe she could finish this chapter in peace instead of going down to the parlor to be interviewed by yet another hopeful couple looking to adopt a respectable young orphan girl. “Miss Meade?” The headmistress called again, and Ellie heard the woman’s hasty footsteps that carried her up the old staircase. She closed her book with a groan and tucked it under her mattress, rolling slyly off the bed just in time for Madame LaCoste to open the door and see her straightening her dress. The woman stepped in with a frustrated glance, grabbing Ellie’s hand and pulling her to the door. “No time to be prettying yourself up now, Miss Meade, the couple from yesterday has returned with a renewed interest in you. Seeing as you’ll be hitting that unmentionable age of eleven just three months from now, when we’ll absolutely have to turn you out to the streets, I recommend you be on your best behavior. Older girls like you are not often chosen over the younger ones.” LaCoste prattled excitedly as she led the young girl down the stairs and around the corner, to where the expectant couple sat on the green velvet couch in the otherwise dull parlor room. Ellie stopped in front of them and fiddled with her long red hair nervously for a moment before LaCoste nudged her forward in a silent urging to get the girl to speak. Ellie did not know it at the time, but Madame LaCoste, although strict, only ever had her best interest at heart. In fact, she was rather fond of Elias and desperately wanted the girl to make it to a nice home before the time came when she had to be let out of the orphanage and given to the streets to fend for herself. “H-Hello,” Ellie stuttered, staring at the floorboards intently. She briefly glanced up at the man and woman smiling at her from the bright green sofa. He and his wife were rather young, but they had a calm demeanor about them. The man was colorful, and his smile was warm and friendly. He had golden, curly locks and inviting blue eyes. The purple coat and top hat he wore would have looked absolutely ridiculous on anyone else, but they suited him well. The woman was pale, and in most ways his opposite, her cheeks flush as though with fever and her hair and eyes both dark and dull. In contrast to the man’s bold outfit, she wore a plain, sky blue dress that was just muted enough to keep from overpowering her slight figure. Her faint smile was enough to calm the nervous girl’s fluttering heart. She took his hand and felt the warmth emanating from it, and he brought hers to his lips with a smile. “Pleased to meet you,” Ellie repeated, her voice barely above a whisper. But his confidence seeped into her soul, and she felt the unfamiliar beginnings of a genuine smile cross her lips for the first time in a long time. Behind her, Madame LaCoste held back tears. Young Elias Meade had quite the tragic life until that point, and it would continue to be so for some time. She’d been left as a baby on the front steps of the orphanage, unfortunately during a winter storm. She’d almost died of a respiratory infection before she was even able to talk. Her entire time at the Boston Female Asylum for Orphans would be riddled with bullies and negativity toward her for her silent demeanor, with few friends save for the ones she found between the hard covers in the small library there. The charges were not supposed to keep books of their own – or anything of their own, for that matter. Regardless, she managed to hide her very favorites under her mattress – even if they made for an uneven cushion – and she found a way to hang them out the window during the Sunday room inspections after being caught with the contraband on more than one occasion. Her new home was a sharp contrast to the life she’d led before living there. When she arrived there with the Chalereux couple, she was bewildered to find that the place was even nicer than her home at the orphanage; even nicer, perhaps, than any place she’d read of in all her books. The home itself was not even in Boston. It was further north, in the countryside where the ground was green and soft instead of brown and hard, and houses were almost as big as the inner-city apartment buildings themselves. The steamcarriage pulled to a stop and steam hissed out of the top of the engine. It reminded Ellie of what she’d read of trains. Thomas opened the door of the car for the ladies to step out and into the fresh air of the new place. “This is your home now, Elias,” he said as he offered his arm to his sickly wife and his hand to the young girl. They strolled slowly onto the premises, through the tall double doors, and into the entryway of the stately abode. “Excuse me one moment while I take Missus Chalereux to the sitting room to rest. Wait here and I’ll lead you up the stairs to your room, Elias. I have a feeling you’re going to love it!” Thomas sounded very giddy, though he maintained a calmness about him as he led his wife away at a slow enough pace for her ailing body. Ellie was overwhelmed at the beauty of the place. All around her the stone-and-brick building towered like a castle, and she’d never breathed cleaner air. The ceilings were adorned with brass and gold artwork and molding, and through a doorway to her right she saw what appeared to be a ballroom with tall windows and long green striped curtains to match. Through another doorway she heard the sounds of a kitchen, complete with cooks bustling to and fro, banging their pots and pans, slicing knives through root vegetables, barking orders at each other in their slang. Every now and again a servant passed through the entryway, their uniforms varying in degrees of uniqueness, likely to designate their position within the house. She hugged her small suitcase tight to her chest, wondering what more the upstairs could possibly hold for her, wondering how big her room would be. Suddenly a thought came to her that hadn’t crossed her mind before. Had the Charlereux couple adopted other children, too? Would she have to share her room once more? Would she have to share the couple’s affections? She supposed it wouldn’t matter anyway, seeing as that was how it always had been. Still, she could not edge out the strange sensation she could only describe as jealousy that had crept its way into her chest. “Are you ready to see your bedroom, Elias?” Mister Chalereux chimed from across the room. He held out his hand and the girl took it quietly, feeling her negative thoughts take over. But Thomas quickly dispatched them as they made their way up the stairs, “Now, you’re our first child, Elias. We haven’t ever raised anyone before, so we know we might have forgotten a few things that you might need. If there is anything, anything at all we can do for you, just let us know.” He paused for a moment and looked down at Ellie, who nodded to show her understanding. It was then he noticed a tear twinkling in her eye. “Why are you crying dear? Don’t tell me you miss that dreadfully dreary place we took you from…” He knelt beside her and wiped the tear away before it had a chance to fall past her long lashes. “I can’t pretend to imagine all you’ve been through, my dear, but you can rest assured that you will no longer have to endure such hardships. Charlereux Manor is a safe place and we intend to give you all you need and want – within reason, of course,” he chuckled and Ellie returned the smile with quivering lips. For a while, Ellie just stood in the center of the room, speechless. “Is it too much, my dear?” Mister Chalereux asked, uncertainty creeping into his voice. Ellie had never been so happy. The few short years she spent with them were filled with lots of good memories, and once she got to know them she learned that they were good people to the core. Mrs. Chalereux grew increasingly ill over the years, and as time ticked toward Ellie’s thirteenth birthday, she secretly wondered if her new mother would be alive to see her blossom into womanhood. The trio made the best of the situation all the same, and Mrs. Chalereux did live to see Ellie surpass the milestone birthday, which they celebrated with a giant cake and a party that included all of the nearby families. Alas, the happy moment was short-lived. Ellie stepped into the Stan Hux Saloon, on the coast of the southern tip of the California Territory. Her airship crew had just flown into town with a big shipment the day before, and they were taking the next two days to unwind while Captain Francisco tried to strike a deal with some of the businesses in town. She took a seat at the bar and ordered something hard, to which the barkeep chuckled and gave a snide remark about a small lady like her drinking a man’s drink like that. When he realized she was serious, he took one of the newly polished glasses from the counter and filled it to the brim with the drink. When he handed it to her, she gave him her most sA.R.C.astic grin and tossed two coins at him. “Thanks, keep.” She sipped on the amber liquid and glanced around the room with her back to the bar. The room was dark to counteract the coming heat of the day, and despite it only being 9 in the morning, the saloon had a steady stream of customers sipping on their drinks and chatting amongst themselves. She took her time listening in on their conversations, eaves dropping on each cluster of men one by one. The conversation that caught her attention most was that of the men seated at the table across from her. One of the men appeared to be a businessman; he wore a finely-tailored pinstriped suit and his hair was slicked back and clean. The man facing him was clean but not dressed quite as nicely. Apparently some sort of interview was going on between them. “Now you have to understand, old sport, this is not a task for the faint of heart,” said the man in the suit. “Well that’s simple, sir,” the man began, “the library was destroyed in 292 C.E. All of the artifacts were lost. It was possibly the biggest tragedy to every happen to human kind.” He stopped, and the man in the suit looked at him as though he was expecting more. “That’s it, everything was destroyed.” The commonly-accepted answer was not what the well-dressed man was looking for, and Ellie knew it. During her time in the orphanage, she had studied everything to do with ancient artifacts and legends and myths. There was so much more to the story – granted, it was supposedly all myth -- but this man discounted it all and she began to wonder what higher education really taught you. This man had supposedly studied under Manchester, one of the greatest historical minds in the nation, but here he was, stammering in front of a potential employer when trying to discuss one of the biggest legends of their time. She almost wanted to interject, but she had to see what the man in the suit would say to that. The man in the suit sighed, reaching into his back pocket and pulling out a rather expensive looking coinpurse. “I had really hoped you were the one, John…” he pushed his chair back as he stood. “Have another drink if you want,” he threw some coins on the table, “this should cover the tab and then some.” He began walking away, and Ellie felt a strange sense of urgency to tell him what she knew about the Library at Alexandria. She combatted the feeling for a brief moment before deciding to act on it. “Wait!” Ellie said, the word rocketing out of her mouth before she really had the chance to think about what she would say after stopping him from leaving. Her exclamation caught the executive man’s attention – along with the attention of everyone else in the bar. Ellie felt her face flush to an uncomfortable beet red, and quickly turned her back on the customers who were now staring at her with full force. The suited man had turned abruptly to face her, and he stood there for a moment, intrigued and also slightly annoyed at this stranger who had caused a scene over an intensely delicate matter. It was a woman, though. She couldn’t have known any better. He smoothed his hands down the side of his pinstriped jacket and took a deep breath before calmly walking over to her and taking a seat beside her at the bar. He tossed a coin to the barkeep and ordered the exact same thing she had, and the patrons of the bar eventually went back to minding their own business. The less finely dressed man who had accompanied the suited man sat with his back to them, undoubtedly listening under the guise of contemplating the machinations of the universe contained in the half-empty liquor glass before him. “You were listening in on my conversation,” the suited man said, sipping his drink. “I didn’t mean to,” Ellie said, sounding like a guilty five-year-old who had done something she probably shouldn’t have. “Seventeen,” she said. But sometimes I feel a thousand. Ellie felt that fire in her chest she always felt when the topic of history came up. Containing her enthusiasm, she sat up in her chair and faced the suited man. “First, your name,” she said, holding out her hand for a handshake. “Nice to meet you,” he said with a salesman grin. “You as well, Mister Pepperman. So, what do you want to know? Just the presumed history of the library, or are you looking into the lore surrounding the whole affair? I mean, there’s so much to know about it – especially in regards to the legendary Crimson Stone.” As she mentioned the mythical object, Pepperman’s eyes lit up. Ellie grinned and leaned in, just as excited about the story she was about to tell as the man in the suit with the gleam in his eye. “Well, I suppose I should start with how it all started… In the beginning, man was learning Alchemy for the sake of bettering his life.” She paused. “You know what alchemy is, right?” The man nodded. “Right, so as it became perfected and refined, it was used in everyday life for the necessary things – but some practiced the craft so much that they became consumed by it. It was one thing to turn pebbles into precious gems, or stones into precious metals, but a true master of the craft could turn those stones and metals into energy and use them to power all kinds of fantastical Antesteam machines. Unfortunately, often times the power was hard to harness and did not last for long. For centuries, alchemists of all kinds and skillsets tried to conjure up the most powerful of all magical feats, the one conversion that could change the world. Legend has it that this most pure concentration of energy could power entire countries for a decade, but there was no way to test the imagined power of this mythical object until it was created in actuality.” She paused and looked at the man over her glass as she took another sip. By now his steely eyes had a flame behind them that matched the fire in her own chest. “Well, go on!” The man said, an eager smile on his face. “What’s in it for me?” Ellie stopped, raising her hand to the barkeep and reaching into her pocket for more coins. “Tab please,” she said as she set her glass and the coins on the counter. “On an airship,” she said, examining the envelope. “I’m a cargo keep for the Western Air Transport Company.” Her fingers caressed the flap of the envelope and the man rested his hand on hers. She looked at him and his eyes were filled with seriousness and a spark of excitement. “How will I find you?” She asked as he frivolously plinked more coins on the counter than were owed. “Look at the contents of the envelope. 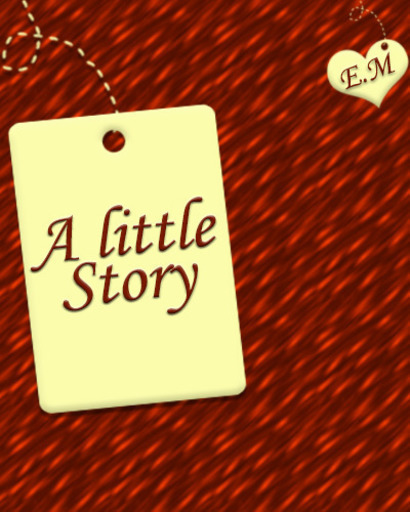 It will tell you everything you need to know.” Ellie glanced down at the envelope in her hands, then up at the man who was now extending his hand to shake hers. “It’s been a pleasure to make your acquaintance,” he said, gripping her hand firmly and pumping it in a steady handshake. Pepperman grinned, then reached behind him to the table where he’d been sitting before and grabbed his black fedora-style hat. With all the haste of a man who had no time to lose, he walked briskly out of the saloon and left Ellie there with the envelope to wonder about its contents. Later that day, in her quarters, she stared at it and traced her fingers along the seal. She’d seen the logo somewhere before, but couldn’t quite place her finger on where. She felt that whatever was in that envelope had the potential to change her life forever. Which excited her, to an extent. But what she had here with the shipping company was good and stable. After a brief moment, she decided that it was time for a little adventure in her life, and she delicately pulled the envelope open, breaking the purple wax seal. You have been chosen by the A.R.C. 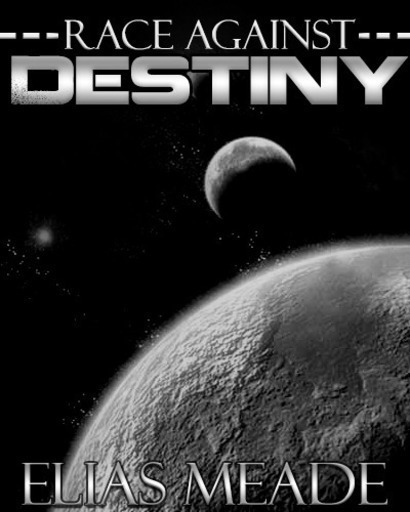 for a special mission due to your vast knowledge on the lore surrounding the objective(s). Your mission is to reach the objective(s) and return it/them safely to our facilities. Should you choose to accept, you will be provided with the necessary crew and equipment to carry you on your journey from our facilities to the specified location of the objective(s) and back. Meet at the Stan Hux Saloon on 5th street tomorrow at 10 to confirm. Can a species ever evolve too far? The people on the planet Zeus have become so advanced that they are evolving backwards. They have become dependent on the limited resources around them--and those resources are about to run out. Follow two people's desperate search across the universe to find the one substance that can save their species from certain extinction! 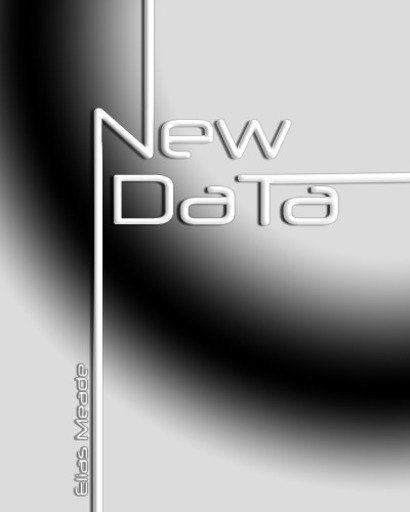 This is the riveting sequel to the science fiction novel "New Data." DISCLAIMER: Even if a book is finished, I might only post a portion of the story online. I will email the rest to those who are truly interested in continuing the read.